Sam Bartholomew is pictured with Emily Jackson, a fellow Disciple of Merit award recipient. 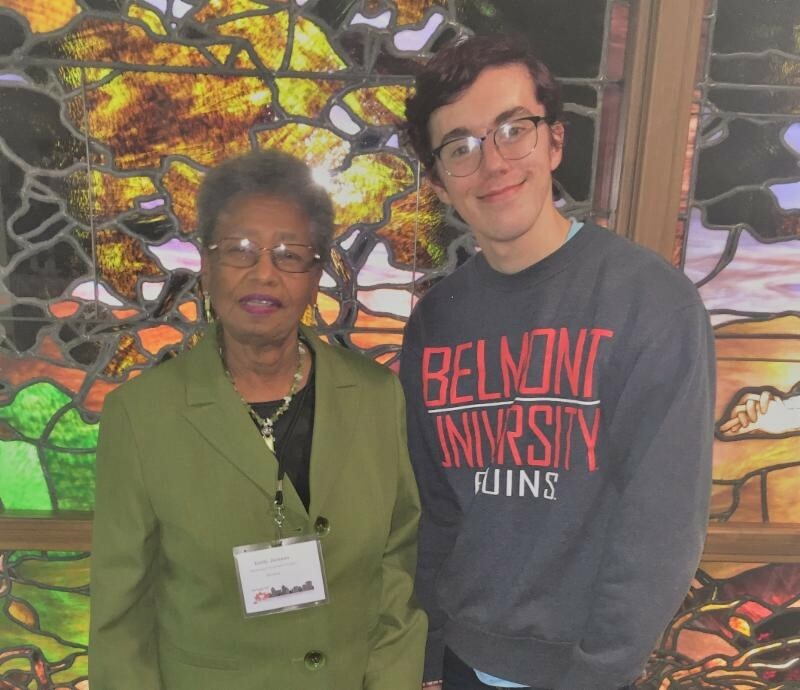 Freshman worship leadership major Sam Bartholomew was recently awarded The Disciple of Merit Award, the highest honor given by the Christian Church (Disciples of Christ) in Tennessee in recognition of outstanding service to congregations, regional and the general church. Recipients are chosen by the Regional Minister and Staff along with the Regional Board. Bartholomew has been active in Disciples of Christ ministries for years, beginning at Lindenwood Christian Church in Memphis where he has been active with Vacation Bible School, youth ministry, youth pastor search committee, media ops, and the WOW service where he was technical director. In May, he received the 12-year award from Music Minister Chris Nemec for singing in the King’s Choir and Laudate from 1st-12th grades. He was also active in the youth group at Collierville Christian Church. On a state level, Bartholomew has served on the Tennessee Christian Youth Fellowship Cabinet as well as other leadership roles. In Nashville, he sings in the choir at Eastwood Christian Church in East Nashville and is also employed as communications coordinator for Belle Meade United Methodist Church.